Why you should let the coaches do the coaching. Leave the coaching to the coaches! There, if you haven’t read me say it before, you have now. One of the hardest things for swim parents to learn is that it is not only OK, but essential to your swimmer’s success that you learn your place in their swimming careers. That place is to be a support system, not a source of technical critiques or training advice. 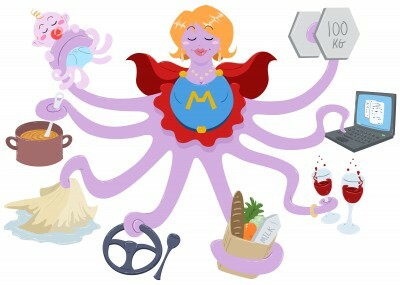 Don’t be Coach Dad (or Coach Mom), and your swimmers will thank you for it later. I know it is tough. As parents we help our kids with everything, and we get used to always knowing more than them about most topics. 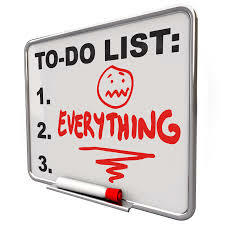 Homework, school projects, requirements for scout badges, selling fundraising junk, being their nurse when they’re sick, their counselor when they are heart broken, their chef/nutritionist, their motivators when they don’t want to wake up or do school work…you name it, parents can handle it. We become “experts” in whatever it is our kids find interesting or need help with. The teacher assigns a salt dough map of the United States, you become an overnight cartographer. Need a device made out of string and paper that can safely land a raw egg from a 50 foot drop with no cracks, suddenly you’re an expert engineer. Need 500 boxes of cookies sold by Tuesday, no problem, dad will morph into his best used car salesman impression and sell his coworkers whatever snake-oil needs to be peddled. But sports are different, we can’t help our kids the same way we do with everything else. We have to learn to step back and be supportive while letting others act as the experts who will guide our children. When we see our kids make mistakes our first instinct is to correct them, but there are a number of reasons why we should resist this urge when it comes to sports. When mom/dad try to correct them they take it too personally. Swimming is their thing…their passion, they do it because they love it, not because they have to, so it is personal to them. It’s one thing to correct their math homework, most kids don’t do math because they love it, they do it because they have to, so correction is no big deal. But when you are doing something you’re passionate about and someone you love criticizes you, that hits a little closer to home. Assuming you chose a good coach for your swimmer, by the time they see you after a race they’ve already heard the positives and negatives of their swim from an expert. They don’t need to hear it from you too. Plus, and this is important, you will offend them. Think about it ladies, you go shopping and try on a dress….if your best friend tells you that the dress makes your hips look funny…you are grateful for the advice and decide not to buy the clearly sub-par dress. If your mother says the same thing you think…OMG my mother just called me fat, she thinks I look terrible, why is she always so critical?! Well the same is true for swimming. In your mind you’re having a nice conversation about breathing less often to increase speed, and in your swimmer’s mind the conversation is on par with this famous parent child exchange.. Coaches know more about this topic than you do, and soon your kids will too. 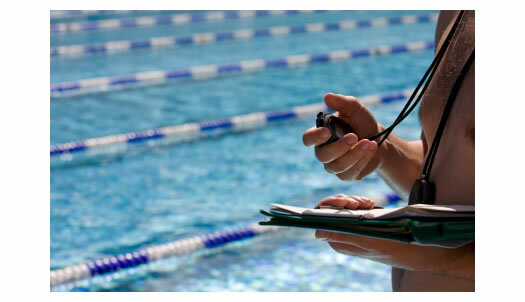 One of your jobs as a swim parent is to make a good choice when it comes to choosing your child’s coach and team. If you’ve done this correctly your child’s coach has experience as both a successful swimmer and as a good coach, and you shouldn’t need to supplement their knowledge with your own. Once your swimmer has been with good coaches for a while soon their knowledge of swimming will exceed your own. Yes, your child will know more about something than you do. That’s ok. The problem comes in when the kids know more than you about something and you insist on still trying to correct them. Think about it, let’s say you’re a carpenter by trade. Some guy happens by who watches a home improvement show on TV and tries to correct your woodworking techniques…you’d be annoyed right? Then why are you trying to give your competitive swimmers advice if you wouldn’t be caught dead in a Speedo? Leave the Athlete/Coach interactions to the people you hired to coach your swimmer. Now if your swimmer’s coach is not living up to your expectations your job isn’t to start filling in the gaps you believe exist. Your job is to respectfully talk to the coach and find out why they are doing what they are, and if you continue to disagree, then find a different coach. Giving your swimmer conflicting messages will only frustrate them and diminish their enjoyment of the sport. Kids can only focus on so much at any given time. Good coaches know that swimming is a complicated sport and things need to be learned in stages. It is the same reason we learn algebra before we attempt calculus. 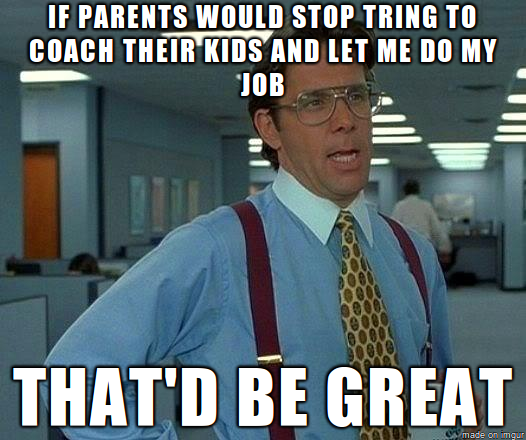 I once had a dad email me with a complaint about our team’s coaching staff where among other things he said he believed the coaches needed to tell his daughter more to focus on before each swim. He gave an example of a speech he gave his daughter before her 50 free and suggested the coaches take a lesson from him. This speech included no fewer than 10 separate pieces of technical advice ( some of them WAAAY wrong) that he wanted his daughter to think about during her race. Ummm…if you can’t list the advice out in the time it takes to swim the race, how is a 10 year old going to focus and think about each of those things while she swims? Good coaches know you teach a solid foundation during practice and build on it over time. They carefully choose what they say to their athletes before each race knowing what they’ve worked on and what the individual swimmers strengths and needs are, and most importantly, they don’t overwhelm the swimmer with too much info. If you swoop in with you $0.02 you throw off this delicate balance and risk sending conflicting messages. This is a tough one, each kid is different. Some like to just hear general niceties after every race, others get irritated with that and actually occasionally want to discuss the details of their swim afterwords. My son for example is a very technically focused swimmer who, when in the right mood, loves to talk swimming. Saying a generic “good job” is often irritating to him, as is trying to act like you can critique his stroke when we both know if I ever tried to butterfly the life guards would most certainly earn their paycheck that day! On the other hand, my daughter is never in the mood to talk swimming with me after a race and wants nothing more than a warm smile and a “I love to watch you swim, honey”. 1. Let your swimmer set the tone of the conversation. You can do things like say “What did your coach say”, or “How did that feel”. If your swimmer wants to talk he will, if he’s not in the mood he’ll keep it short and so should you. 2. Keep it honest, but kind. Swimmers know when they had a bad swim, it happens to the best of them. You saying “good job” when they just swam 5 seconds over their seed does not help the situation. Sometimes they just need an arm around the shoulders, or someone to vent to, or a shrug with a “you’ll get ‘em next time”. If all else fails a “what did coach say” followed by a “good now you’ll know how to fix it for next time” often works well. 3. After they swim well remember that this is their accomplishment, not yours. Be excited, but don’t go too overboard. You don’t want to embarrass them, or make them think you’re completely shocked that they could do so well. Something like, “Great job, that was really fun to watch”…or “Wow, that was fast!”…then let them do the talking…or follow it up with the ever popular..”What did your coach think?”. 4. Sometimes it’s better to ask questions than to make statements or accusations. It is better to admit ignorance than to risk giving the wrong advice. I can’t tell you how many times I’ve overheard well meaning parents giving their swimmers advice that is just dead wrong. For example, I recently overheard this exchange as a swimmer and her dad were leaving a meet. For those that don’t know, coaches work endlessly trying to get swimmers to lengthen their stroke. If that swimmer listened to her father he probably just set her back months in her training. The right answer would have been something like…”Have you asked coach if there are any drills you could do to help you with that?”…or “I can see how that would be a tough, you should tell coach what you just told me.” Again, you can support your swimmer, and even help them fix the problem, without pretending that you know the technical swimming answer. Encouraging them to seek advice and assistance appropriately from their coach is usually the best answer. In short, this is one of those rare times in parenting where less is more. Finally for once, you are off the hook for needing to be all things to your child. And this maybe the first time that your child grows to truly know more about something than you do. Show them how to explore this new realm of your relationship with grace and mutual respect. 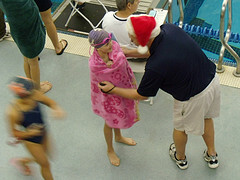 Allow your swimmer develop a good relationship with their coach without the added stress of you undermining them. You’re their financial backer, taxi service, chef, forgotten goggle rescuer, alarm clock, early morning motivator, and most of all your swimmer’s biggest supporter and fan. That plate is plenty full, so go ahead and let the coaches do the coaching. Your swimmer will thank you later.